Salamander Trust has worked with the ATHENA Network, the Global Coalition on Women and AIDS, WECARe+, the US Positive Women’s Network, ICW Global and the Network Persone Sieropositive to present a Town Hall Meeting in the Centre of Rome, a Satellite Session in the Conference and Booth sessions in the conference, which address the many and complex sexual and reproductive health issues facing women and girls around the world. You can read more about the events on the “Rome 2011” tab of the WECARe+ website. 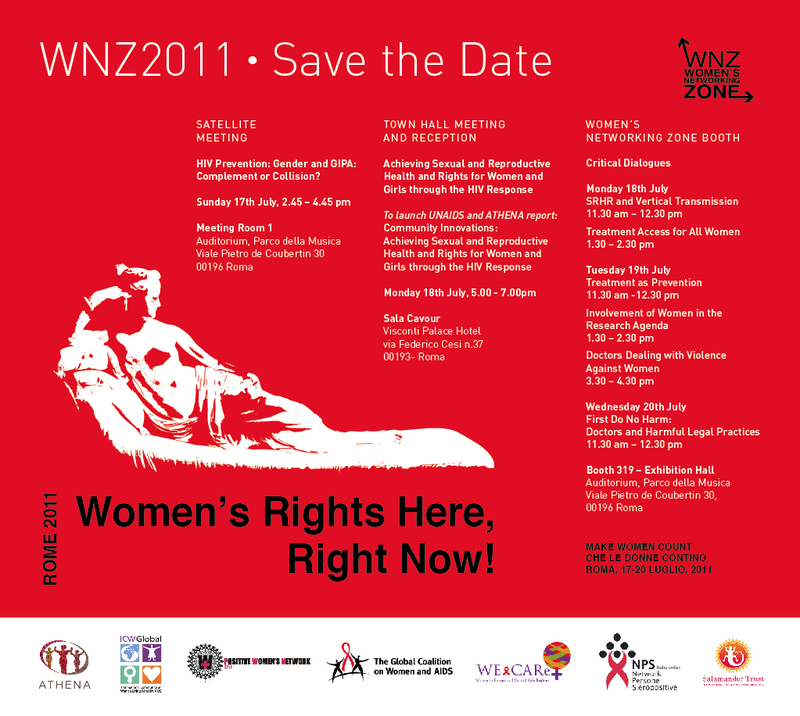 Click here for a brief overview report from the Global Coalition on Women and AIDS.